Running? I’m not sure that’s the right verb. I’m pretty sure that if Alison Grimes, Jeanne Shaheen, Kay Hagan, Mark Pryor or Michelle Nunn passed him on the street they probably wouldn’t know who he was. I’m puzzled as to why David Axelrod has disappeared from the Obama advisory group. Most everyone, including Republicans, will concede that his management of the campaigns was brilliant and he kept Obama on message so well that he was able to avoid the gaffes we have seen recently. So why is he gone? Not that I’m complaining; I think that Obama has been “the gift that keeps on giving” and I think we have Axelrod’s absence to thank for that. So, when will we see your predictions on Tuesday’s elections? Shelly – My understanding is the Axelrod’s skills were viewed as a better fit for the campaign than for governing and that Obama lost faith in him after the 2010 midterm shellacking, which the President blamed in part on the failure of the Obama team to tell a compelling “story” regarding Obama’s accomplishments to date. That, along with Axelrod’s burnout led to the decision to let him go. Of course, this doesn’t mean Axelrod is not offering advice behind the scenes. But I don’t think the recent “gaffes” are a function of going off message – I think they reflect the complex and unprecedented nature of the problems he has had to confront. Not sure how much difference Axelrod would have made. 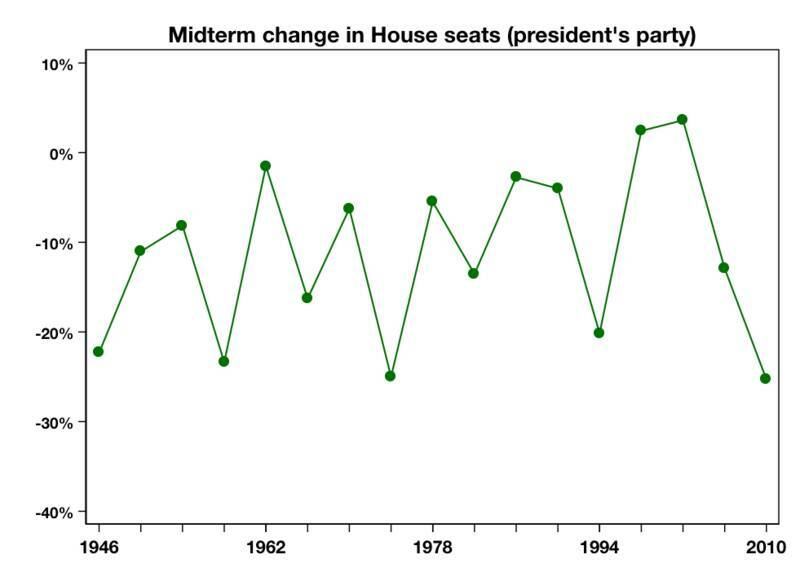 I’ll post something at some point on what the poli sci Senate forecast models say – as opposed the purely poll-based forecasts which while more accurate are not nearly as interesting.